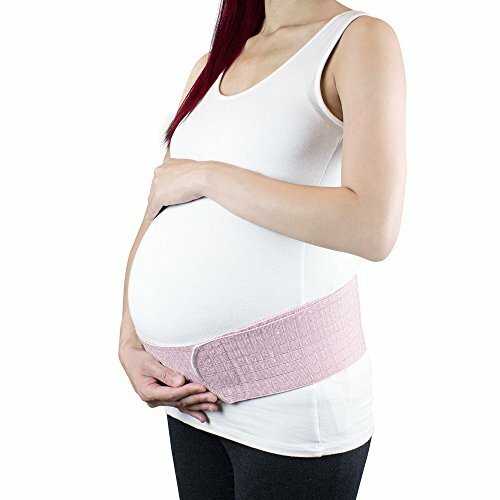 Our maternity belt employs two easy-to-use overlapping Velcro straps: The first keeps the belt in place, while the second ensures a comfortable fit which can be adjusted throughout the day. The belt gently supports the pelvis through elastic compression without limiting movement or compromising comfort. Lower back fatigue is a common issue for mothers during the latter stages of pregnancy. With the baby's weight added to the front of the body, the entire spine is exposed to an excess amount of pressure, which can cause muscle fatigue and strain. By providing quality support to the lumbar and pelvic muscles this discomfort can be alleviated, and other complicating medical conditions such as uterine prolapse prevented.